Solve Sudoku puzzles using the magic of Augmented Reality! • A finished solution appears, like magic! • Solve Sudoku puzzles in real time, instantly! • Scan multiple puzzles in a row! Magic Sudoku, the AR Sudoku solver, has been featured across the web on sites like imgur, reddit, Product Hunt, The Next Web, and The Verge. Try the ARKit sensation everyone has been talking about! v1.5 was the "More Magic" update. • We spruced up the look of the puzzles. • We added magical sparkles when solving. 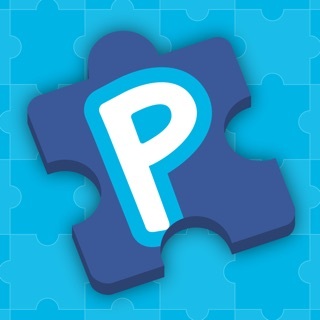 • We created a "share" feature so you can easily send screenshots of your scanned puzzles. • We linked our FAQ from within the app. • We improved accuracy and greatly expanded the number of compatible puzzle layouts. • We fixed several bugs (including, *hopefully*, the "upside down puzzles" bug that had been stumping our developer since launch). Is the app getting better? If so please leave us a review in the App Store! If not, please message our support team and we'll keep working to improve it more and more. I bought this after seeing a Medium article by the author on how they wrote it. It was worth a shot, but I haven’t been able to get it to work on my 6S (iOS 11). I tried it on our local newspaper puzzle, then I thought maybe the contrast wasn’t high enough so I ran it through a copy machine. In every case, no matter how patiently I line up the squares exactly, it doesn’t recognize a puzzle. It also seems like it isn’t focusing properly on the page as the camera view is a bit fuzzy by the time I get the phone close enough to line up the squares. Gave it 3 stars for a cool concept, will upgrade later if I can get it to work reliably. Sorry to hear that! We're definitely working on making things more robust. It sounds like the problem you're having might be due to the puzzle being too small for the 6S camera. ARKit can't do auto-focus yet so if the puzzle is too small you have to get too close and it won't be in focus -- the plus sized models seem to do a better job but we're hoping Apple updates this in the future to get better up-close focus. 1) The puzzle doesn't need to be lined up exactly; try backing up a bit so the squares are more in focus; it might work! 2) Try "scanning the room" a bit more before you scan the puzzle. The more data ARKit can extract from your environment the better it will do. We're working on improving the UI of the app in the next version to suggest these things preemptively. Update: We've tried to improve this in more recent versions. Is it working any better for you now? Interesting! Thanks for the insights. I am pretty sure we ended up getting this fixed with the latest version. We had to do some vector math after the fact to determine whether it had been placed upside down and fix it after the fact. Might not be the most elegant solution but it seems to work! Hi smeyer, thanks for the feedback; we're definitely working hard on improving the app for future updates. Can you send a message to our support team with more details? Especially screenshots of the puzzles it's struggling with? We bought all of the Sudoku books we could find to train our algorithms but we are learning that there are many more puzzle layouts to teach it about so we need all the data we can get. Update: We've put in a lot of improvements in recent versions. Is it working any better on your iPhone 7 now?